• G. K. Chesterton preached Distributism throughout his works. In particular, see his Collected Works, vols. 5–6, devoted to his political and economic writings, as well as What’s Wrong with the World (available on its own or in volume 4 of the Collected Works). • Dorothy Day, The Long Loneliness. Dorothy Day’s autobiography explains how she and Peter Maurin founded the Catholic Worker movement. • Donald Demaray, ed., The Daily Roberts. Readings for every day of the year from B. T. Roberts, one of the founders of the Free Methodist Church. Many readings focus on how Free Methodists responded to economic and social need. • Donald Dayton, Discovering an Evangelical Heritage. 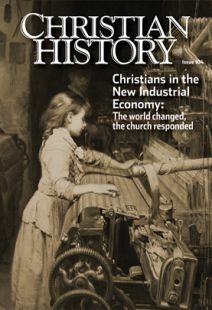 Holiness and evangelical Christians were deeply involved in many economic reform movements of the nineteenth century. Dayton tells their stories. • Entertaining Angels: The Dorothy Day Story. This film shows how Day served New York’s poor and became a voice for the voiceless. • Michele Guinness, The Guinness Spirit: Brewers, Bankers, Ministers and Missionaries. Guinness, married to a member of the “missionary line” of Guinnesses, describes the benevolent activities of the brewing line as well. • Kathryn Kemp, God’s Capitalist: Asa Candler of Coca-Cola. Discusses Candler’s faith, business success, and philanthropy. • Robert Kennedy, ed., Religion and Public Life: The Legacy of Monsignor John A. Ryan. Describes Ryan’s life, thought, and importance to the Catholic social tradition. • Stephen Mansfield, The Search for God and Guinness. Recounts how several generations of brewing Guinnesses aided the poor of Ireland. • Edward McKinley, Marching to Glory: The Story of the Salvation Army. This official history of the Army in the United States is both entertaining and enlightening. • Gari-Anne Patzwald, Waiting for Elijah: A History of the Megiddo Mission. This unique Christian communal society rejected community of goods in favor of emphasizing private property. • Herbert Schlossberg, The Silent Revolution and the Making of Victorian England. Tells of the state of English church and society at the end of the eighteenth century and takes the reader on a tour of multiple efforts—Methodist, evangelical, Anglo-Catholic—to bring economic and social reform. • Jean Miller Schmidt, Grace Sufficient: A History of Women in American Methodism. Many Methodist women were involved in efforts to help the victims of industrialization, especially in the deaconess and missions movements. • Ron Sider, Rich Christians in an Age of Hunger: Moving from Affluence to Generosity. One approach to the “call to action” Greg Forster puts forth on p. 40. Sider is president of Evangelicals for Social Action. Other titles by Sider include I Am Not a Social Activist: Making Jesus the Agenda and Cry Justice: The Bible on Hunger and Poverty. • Scott Todd, Fast Living: How the Church Will End Extreme Poverty. Presents another approach to the “call to action”; Todd is on the staff of Compassion International. • Rosalie Troester, Voices from the Catholic Worker. Oral interviews with over 200 members of the CW movement show how they wrestle with faith and economics today. • Anne Vernon, A Quaker Businessman: The Life of Joseph Rowntree, 1836–1925. Recounts the story of Rowntree and his sons, and their efforts to help their workers and fight drunkenness and poverty in Britain. • Andrew Finley Walls, The Missionary Movement in Christian History. Provides a good introduction to the missionary movement from a sympathetic Christian perspective. • Pamela Walker, Pulling the Devil’s Kingdom Down: The Salvation Army in Victorian Britain. Includes stories and history of how the Booths combined “early feminism, street preaching, holiness theology, and intentionally outrageous singing” to combat sin and poverty. • Ronald White, Liberty and Justice for All: Racial Reform and the Social Gospel. Describes how the Social Gospel influenced America’s struggles with this important issue. • Leo XIII, Rerum Novarum (“On Capital and Labor”). • Pius XI, Quadragesimo Anno (“On Reconstruction of the Social Order”). • CH 14 and 19 Money in Christian History, Part I and Part II (Issue 19 is out of print). • CH 26 William and Catherine Booth: Salvation Army Founders (out of print). • CH 53 William Wilberforce: Fighting the Slave Trade. • CH 75 G. K. Chesterton: Prolific Writer and Apologist (out of print). • CH 84 Pilgrims and Exiles: Amish, Mennonites, and Brethren.